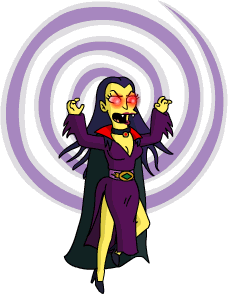 It’s Halloween in Springfield! Thoughts on the 2018 Halloween event? Thoughts on Halloween in general? Now that we’re approaching October do you have costume ideas? How will you be celebrating? 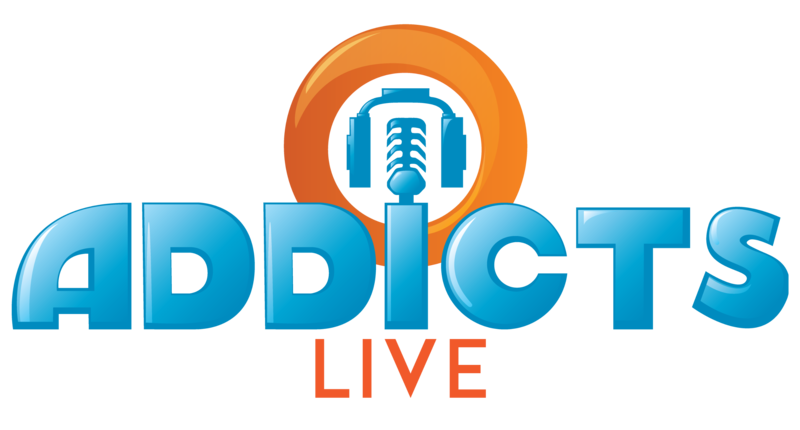 ICYMI Addicts Live was back yesterday with an all new episode! Check out all of the Hallo-weenie Fun here! Oh nooooooooo…my graveyard reset levels to the beginning! Ok. So I’ve gotten the patch yesterday and it looked like the tap and wait lag has been fixed but now there’s a new problem, I have dozens of minions that I tap but they don’t disappear or pay out. ??? The only way I can clear them is to use Flander’s Family Tome. Meanwhile I keep tapping the minions for insanity’s sake. The lag was originally on my android phone not my Ipad, however the minion issue is now on both devices. Alissa is you husband ever on air for MLB Network? He has a great job. As the debate about directions raged on during the latest Addicts Live, I thought maybe I could put it to rest. Cookie Kwan’s territory is the West Side/Springfield Heights, so if that is the west, then the water is in the south. This means the area away from the water is correctly identified as the northern or “top” of your town and would be the natural location of Canada and the North Pole. Sorry, Patric. Pfffffffffttttttttttt…………… It has to do with screens…and how you scroll… I don’t care how you label it…but the right side of the screen and the left side of the screen are still the same. The town is at a diagonal…so, North/South etc. is silly. The huge body of water could just as easily be a great lake. 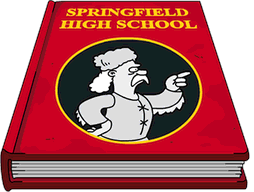 But, for me…because I live near the REAL SPRINGFIELD… everything “left” of the mountains it North…the Ocean is West…the rest is accordingly. So…for me…Canada is just at the edge of the mountains…and Sprinfield Heights and the “North Pole” are on the other side. My weird “Dystopian Land” and “Heaven-ish” are pretty much out on their own…waaaaaaaaaaay “South” (upper right hand side of the screen). But…time/space/land is relative. For sure. It’s all good in a fictional town👍🎃. Please explain what ocean is to the South of Springfield? Anybody crafted the “Transylvania Chalet” yet? I’m deciding whether to save up currency for it vs. the lower-cost, lower-payout things like shrubs. The “Transylvania Cottage” has a 4 hour build, then turns into a paying building (150$ and 13XP / 8 hours) in addition to the bonus percentage for the event. It also has a better bonus % / event currency ratio – as does the Chalet. But you have to wait to save up the currency, and you have to wait through the build itself, before you can start taking advantage of the higher bonus %. Thoughts, y’all? The Chalet has the same build time and earnings. It is slightly bigger AND has double the bonus fangs. We already have Snorky in the game but he is an NPC. I think he should be a full character. Some possible tasks could be “Reclaim the Land” for 24 hours (maybe at Town Hall), “Practice Tricks” for 12 hours (his tapping animation could be used for this), “Rule Springfield” for 8 hours (an outdoor of him wearing a crown, sash and holding a sceptre), “Eat Some Food” for 4 hours (probably at The Frying Dutchman), and “Clown Around” for 1 hour (possibly at the Aquarium or the stunt show from Krustyland). here’s a lovely glitch that i just got, my tome is at level 7 (1/2 way to 8) and it only reads it as level 1 when i click on the tome itself. somehow i lost all of my bonuses and ended up getting my level 1 crafting locked with the exception of the vulture tree. i’ve tried logging out and back in that didn’t fix it. any suggestions welcome. Just noticed and probably already mentioned. When you send characters on jobs via unemployment office. The cursed town folk that have been turned into Minions are left over. Don’t get sent on jobs. However if you click their “search for” icon ( top left corner) they get set free from curse. Then can be sent on jobs. Anybody confirm that? Thanks ebron. Looks great! I’ll have to download that app. I usually just upload a photo to imgur…here’s how…. 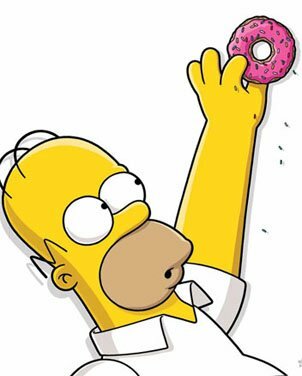 First…Open a browser page and go to TSTO Addicts. Next…start a post at the site. Now, open a second browser page and go to Imgur upload. (You can save the page as a bookmark for the future). When you get to the page, choose “browse”, choose a screenshot from your photos file (tap it) and hit “done”. Once the upload is complete, double tap the address line (at the top of the page) and choose “select all” then “copy”. Go back to your post on the original page. Start a new line in your post, then double tap the cursor. Choose “paste”…the address on the Imgur page should now show in your post. Don’t worry, the picture won’t show up just yet. They don’t have to be free wandering around to get turned into minions. But it does seem to kick them out of the task they were in. Hope this helps. How come we are not seeing new Addicts posts on Facebook? Has anyone else had problems with visiting friends? I am not able to tap some people’s minions. And when I went to look at how many in tapa i had left it gave me a weird error. There seem to be two types of minions: generic ones, which can be tapped, and cursed characters, which cannot be tapped when visiting neighbours and which may cause problems in your own town. I know that when I use the Office of Unemployment to send my characters on jobs, the ones that are cursed stick around and my game locks up for a long time; completely shutting down the game and restarting solves the issue. And the EA developers seem to have neglected to add a message for when you no longer have any event-currency taps remaining while visiting your neighbours, so that the code (UI_THOH2018_OutOfFriendActions_PT1) is being displayed rather than the corresponding language-specific text. I haven’t been able to tap neighbor’s minions either. I had that issue as well. I was able to tap on them in each friend’s town until I got to one in which tapping on any of them did nothing. I went to the next friend’s town and it was working again. This event is very BUGGY. I have a sort of similar thing — but! What I’ve noticed is that I can only tap neighbor’s minions when they are on PARTICULAR TYPES OF ROADS. If they’re on Krustyland roads or cobblestones or anything other than “standard” roads / areas, they’re un-tappable. I just have to hunt them down in a smaller area of town, apparently. Correct, don’t waste time tapping anywhere but the regular roads. I spent 3 hours this morning compiling this week’s list and accidentally deleted it so really late today. 17. Old Man – S.P.U.D. 19. Hard Hat – S.P.U.D. I’ve had trouble for almost 24 hours now with my iPhone X + logging into TSTO. It seems to have a massive patch (?!) that just spins and spins. My wifi keeps kicking off (I’m traveling, so not much I can do about it), but still–frustrated. Anyone else blocked? Can you sign in on another device? Sometimes this will de-glitch the game and you can go back afterwards and sign in again on your original device. Just ignore the “2nd device didn’t logout” warning messages, and continue on to play the game. I just turned on the XP collider and instead of getting $75 dollars from one of my spooky houses I get $41. What the heck? PHILOCLEAN – It’s for XP not cash. Just dropping a picture of my current Halloween area. Added the Construction Site from a previous Halloween to the back of the forge…its seems to fit the area well. Doubling up the archways and combining two of the vulture trees helps boost the bonus without crowding things too much. Man…. NUKING was the best thing that every happened to you! Every event… a new pallet! And I’m only at 10,000 pieces😁…lovin my new way of playing. Hope all my neighbors enjoy it while it lasts…Halloween will have to make way for Christmas all too soon. I will post pictures in my Flickr album, tho, before it all dissapears forever. Oh wow, adding that construction site to the back of the current event building is a stroke of genius. So glad EA came out with a new “dig site”! I thave a theory that when this Halloween event is over, the prizes received from the new rig site will be from the Halloween 2017 event. So like the Wizard School walls, towers, and gates. I really hope my theory is correct because I’m so sick of those purple castle walls, towers, and gates. I don’t recall which is which, but, some Levels are not accessible until Act 2.